Wearing a slightly crumpled striped shirt and no tie, He Jiankui approached the stage and stood behind a podium. Somewhat hesitantly, he started to explain in English, to the assembled scientists, experts and media, just what he had done. Pausing for a second he said: “First I must apologize that this result leaked unexpected[ly].” He was referring to his announcement that he had successfully gene-edited humans for the first time, twin baby girls called Lulu and Nana who were born in Shenzhen, South China’s Guangdong Province in November, 2018, using a molecular manipulation technique called CRISPR-cas9. Ordinarily, a conference on the very technical subject of gene-editing would not have attracted such attention. This time, space at the Human Genome Editing Summit at the University of Hong Kong on November 27, 2018 was standing room only. The geneticist described the procedure and data of his gene-editing attempt. Just two days before, on November 25 US time, the Associated Press (AP) had broken the news that there had been a successful attempt to genetically modify a human embryo to have resistance to HIV. It astounded the global science community, most of whom were aghast. Just a few hours earlier Massachusetts Institute of Technology (MIT) had published an article that said He had registered a clinical trial document of his intent to perform the study. “I feel the proudest,” he told the audience at the summit, before saying that there was “another potential pregnancy.” Proud or not, He is now feeling the heat of his actions. His school, Chinese health and science authorities, other experts in the field and even colleagues at his own company have been quick to condemn and distance themselves from him. He Jiankui is an associate professor with the research-focused Southern University of Science and Technology (SUSTC) in Shenzhen, South China’s Guangdong Province. His office is close to the campus. He is also chairman and founder of Direct Genomics Biotechnology (DGB), a Shenzhen-based genome sequencing firm. When NewsChina visited He’s office in March this year, the reporter saw photos of He posing with Chinese officials and international Nobel laureates in pride of place on his office walls, as well as a printout of his published academic papers. During that interview, he stressed many times that he felt Chinese scientists in the US might hit a glass ceiling, and that he could only achieve great things if he returned to China. Amid the storm of criticism, SUSTC said on November 26 that He had been on sabbatical since early 2018, but is still on the faculty and has a lab at the school. The university said that He’s work “seriously violated academic ethics and standards” and it planned to investigate. He agreed that he had been on leave for several months, and said he would be until January 2021. According to a media report in July 2018, DGB started manufacturing the third generation of its GenoCare genome sequencing machine with an initial order of up to 700 units, allegedly the “most precise, affordable machine” of its kind in the world. Shenzhen is renowned in China as being a city for adventurers and pioneers, where dreams can come true. “Shenzhen is a fast evolving city, and when I returned to China, SUSTC had started up, and had yet to establish an educational system. But it gifted huge opportunities to young academics like me,” He said. He had great ambitions, believing a huge production chain would develop alongside his genome sequencing technology. “Along with technological progress and market expansion, it will lead to a revolution in related sectors.” He was confident of his future progress. Research and development into genome sequencing machines was not his final goal, but just a tool to apply his updated gene sequencing technology to clinical operations, which would result in no less than a new industrial revolution. According to He, there are only three companies in the world involved in third generation genome sequencing, including the US company Pacific Biosciences and Oxford NANOPORE Technologies, as well as his DGB. The other two international companies have both stepped into China’s market, while DGB is planning to apply for certification to the China Food and Drug Administration (CFDA). “We boast a scientific consultation committee with significant industrial influences, whose members include Craig C. Mello, the 2006 Nobel Prize winner from the US, an expert in RNA,” He said. RNA stands for ribonucleic acid, which is present in all living cells. Compared to a second generation genome sequencing machine, He claimed the third generation developed by his team was faster and more convenient, requiring smaller blood samples for a test. With mass production and economies of scale, the price of a gene test for a regular person was expected to drop from US$1,000 to US$100. On the afternoon of November 27 when a NewsChina reporter went again to He’s office in the Biology Department of SUSTC, the office was locked and sealed. The report from Nature magazine had been removed. An employee from DGB later told NewsChina: “As a person in charge of the company’s R&D sector, I can assure you that DGB was not involved in He’s research.” Zhou Jingjing, the assistant to DGB’s chairperson, flatly denied any connection. “Our company is not involved in He’s gene-editing on babies and we know nothing about the issue. He did that at his SUSTC lab, and now our company is the victim,” she told NewsChina. In 2010, he was awarded a doctorate in biological physics from Rice University in Houston, Texas, and then spent two years at Stanford in California for post-doc research. Along with his two advisors, Michael Deem at Rice and Stephen Quake at Stanford, he made some academic achievements. He told the Shenzhen Economic Daily: “At Stanford, my personal view of life was turned around completely.” He said he used to believe that academics should stick to a simple life and make academic contributions. However at Stanford, he found his supervisor Stephen Quake not only had an academic reputation and status, he was also a billionaire owner of 10 companies. Three were already listed. When he returned to China in 2012, he was given tenure at SUSTC, even though he was only an assistant professor. According to tianyancha.com, China’s corporate record database, He Jiankui holds stock in seven companies, and is the legal representative of six of them. In addition, he is listed as having a senior role in four other companies. SUSTC emphasizes the combination of academic studies with industrial application, with a favorable policy that allows more freedom for its teaching staff. It states that faculty can retain 70 percent of any profits they make from commercial use of their technology. Under this incentive system, a number of staff like He have started operating their respective science-related companies. By mid-2018, SUSTC owned up to 25 registered high-tech companies, and the university itself had a market value measured in science and technology transfers of up to 800 million yuan (US$115m). He’s project did get financial support from SUSTC. According to He, he obtained a two million yuan (US$288,000) donation from the Amer International Group, a high-technology industry group based in Shenzhen, through SUSTC. Amer International is registered in Shenzhen and founded in 2011, with a focus on producing new metallic materials. It also owns the affiliated Amer Health Industry Investment Co. Ltd. One shareholder in Amer Health named Lin Zhitong is also a shareholder in HarMoniCare Shenzhen Women and Children’s Hospital, the hospital that approved He’s study and experiment on human embryos through its Medical Ethics Committee. During an interview with AP referring to He’s trial, Lin Zhitong, the HarMoniCare administrator who also heads its ethics panel, said: “We think this is ethical.” NewsChina learned from an inside source that Lin and He have a close personal relationship, with Lin focusing on healthcare investment and He focusing on commercialization of academic research in gene editing. Lin refused to speak with NewsChina in late November. The hospital denied it had approved He’s trial or gave it ethical consent. He did not find it easy to start his first company. He said in early 2014, he set up a US expert team to bid for a special fund of 50 million yuan ($US7.2m) from the Shenzhen government to help him develop the third generation gene sequencing machine, but this bid was unsuccessful. But by then he had set up DGB with two former classmates from his undergrad days, so he pushed on. An angel investor, a retired official from Henan Province, contributed one million yuan (US$145,000), allowing He to continue his research. In 2016, He finally obtained funding of 40 million yuan (US$5.76m) from the Shenzhen government. According to DGB’s website, in April, a Series A funding round netted the start-up 218 million yuan (US$31.34m). He told NewsChina that research and development of a third generation genome sequencing machine requires at least five years and up to US$500 million, from concept to being ready for market. This was, he admitted, way beyond what he had thought, having apparently been told by an expert from a US company that it would only take a few million dollars. During his interview with NewsChina, He Jiankui boasted about his achievements, saying he made the right decision to return from Stanford, the startup heaven in the US, to SUSTC. On his YouTube video when he announced the success of his procedure, he said: “I can’t think of a gift more beautiful and wholesome for society,” as he talks of how this will be the beginning for gene surgery and of its potential to help couples with inherited genetic diseases. 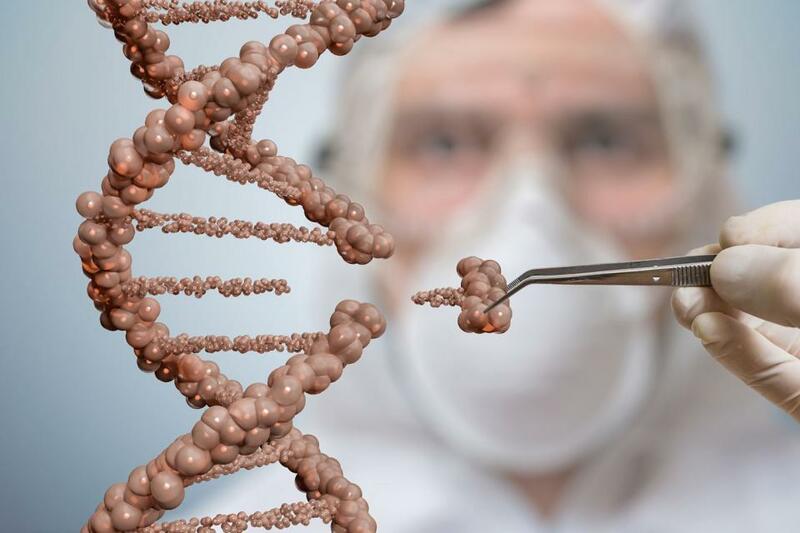 Now suspected of having conducted at best highly unethical and potentially illegal gene-editing on two newborns, the outcome of which is unknown, He has become globally famous, or infamous. His future as the head of science and tech-based startups must be fading as he faces condemnation from the public and his peers, as well as investigation and possible prosecution from Chinese authorities. 3. What’s Ailing Medical AI?